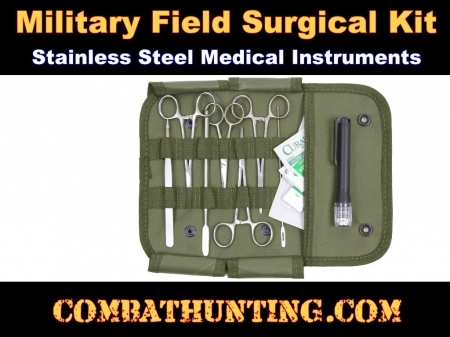 This Elite Military First Aid Surgical Kit 16 piece features all stainless steel medical instruments and sutures in a nylon MOLLE compatible pouch. The tactical surgical kit contents of the minor surgery field surgical kit include 2 straight hemostats, a curved hemostat, a pair of scissors, tweezers, a #3 scalpel handle, 2 scalpel blades, a suture set, a holder, a needle probe, 2 alcohol wipes, 2 antiseptic BZK wipes, and a pen light. Pouch measures 6" x 11" x 0.5". 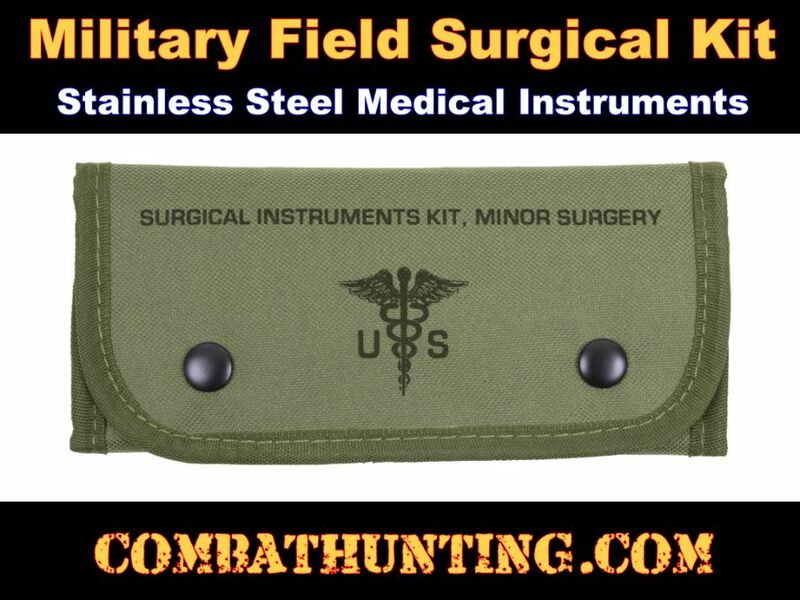 This is a Great Set to expanded your medical kits, bug out bags, and emergency prep.